Happy 2013! We’re extremely honored to have Will Schwalbe as our first guest of the new year. Not only does he know the ins & outs of the publishing world, he’s an author too. By far one of our favorite Red Sofa Chats to date, as Will’s energy and passion for our world of publishing is infectious. Enjoy! 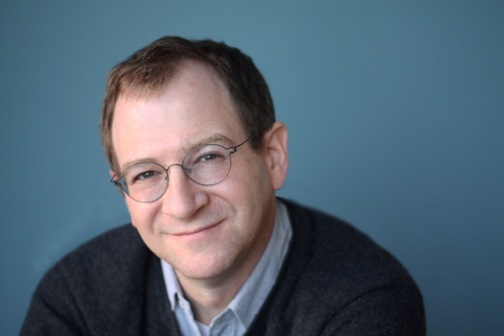 Will Schwalbe is the author of the New York Times bestseller, The End of Your Life Book Club (Knopf, 2012), which was an a #1 IndieNext pick, B&N Discover selection, and was named by Entertainment Weekly and Amazon as one of the ten best nonfiction books of the year. Will is the founder of Cookstr.com; has worked in publishing (most recently as senior vice president and editor in chief of Hyperion Books); in new media; and as a journalist, writing for various publications including The New York Times and The South China Morning Post. He is also the coauthor with David Shipley of SEND: Why People Email So Badly and How to Do It Better (Knopf/Vintage). 1. Thus far you’ve contributed to publishing as an editor, editor-in-chief, SVP, and author; now you’re the Founder of Cookstr.com. You’ve worked with some amazing people. What inspired you to take this path? My first job in publishing was as a temporary secretary at William Morrow. In that capacity, I got to work for every department, filling in as I was needed. I worked in publicity, sales, production, royalties, and permissions, to name just a few. I even handled the switchboard at lunch every day, and also filled in as secretary to the President from time to time. Eventually, I landed in subsidiary rights, which I loved. It was only after six years in subsidiary rights that I started to move into editorial. I remain passionate about publishing, but also always wanted to write. Still, the decision to become an author was made fairly casually, at first, and really was just to scratch a particular itch. My first book, SEND, was one I co-wrote with my great friend David Shipley; it offers some theories about why people email so badly and shows what we learned about how to send better emails. We both had full-time jobs and wrote the book because we felt it was a book we needed. I didn’t quite my “day job” until a year later, when I set out to found Cookstr.com. I was inspired to do that by Chris Anderson. I acquired and edited his extraordinary THE LONG TAIL, a prescient book about the digital future, and got bit with the digital bug. It’s just too exciting a world not to want to play in it. The decision to write THE END OF YOUR LIFE BOOK CLUB came much later. I should also add that I had a pact with myself — never do anything for more than a decade. Also, when I hear myself saying, “Well, the thing you have to understand it…” or “Well, the way it works is…” that means I’ve been doing something too long and it’s time to do something else; something that scares me; something I don’t understand. After twenty-one years in book publishing (ten years at one house; eleven at another), I heard myself saying those things, so I made a switch. As soon as I hear myself saying them again, I’ll switch again. But a basic through-line in everything I do is that I’m an enthusiast. When I’m excited about something, I feel compelled to share it. As an editor, I did that with books; at Cookstr.com, we do that with recipes; as an author, I try to do that with ideas. 2. Being a published author, what have you learned to be effective methods of reaching readers? And how has this knowledge influenced your business approach at Cookstr.com? I think there are many ways to reach readers — but I don’t want to downplay the difficulty of getting people’s attention. It’s very hard to compete for people’s time, and what works for one book may not work for the next. I had a huge advantage in having a brilliant publisher, Knopf; they did all sorts of things, including important outreach to librarians and booksellers months before publication. I know both of those communities helped enormously, but I also know, as a former publisher, that nothing guarantees anything. Knopf also gave away advance copies through GoodReads and that was hugely effective in creating awareness. It’s astonishing to see the level of engagement on Goodreads, and how thoughtful the reviews are. I do still think there’s a role for advertising, in print and on the web — if you can afford it and if you can present a dramatic reason that people should consider buying the book you are selling. I contributed to about a dozen blogs. I also toured. And I was as active as I could be on Facebook and Twitter not just at pub but in the years leading up to pub, trying to connect in a genuine way with people who share interests with me. In the end it’s almost never one thing, I think — it’s a combination of dozens of little things, with word-of-mouth being the best thing and the hardest to inspire. As for Cookstr, what I learned is this: the web is like the physical world in many important ways. For example: Don’t make people come to you — go to them. Cookstr is a destination site but also powers recipes search for other sites — like the AARP and Bravo Television. And our free newsletter, which goes out once a week by email, is one of our biggest traffic drivers. I just finished a fascinating novel set in Morocco, very dark and intriguing, called THE FORGIVEN by Lawrence Osborne. I’m reading a new collection of poetry by Elizabeth Alexander called CRAVE RADIANCE. Just brilliant. I loved GONE GIRL so I’m excited to read Gillian Flynn’s earlier books. Also, one of my favorite books of last year is SUTTON by JR Moehringer, a novel about the life of bank robber Willie Sutton. It’s tremendously artfully done; a real page-turner; beautifully written; and has a wicked twist that makes you want to start reading all over again once you are finished. It also deals with very contemporary themes of money and power. Even though I just read it last year I’m going to read it again. 4. How do you utilize Twitter? How do you believe it has changed the publishing industry? I use Twitter to find things out (“What time do the Pet Shop Boys come on stage at their show?”), to discover links, to get an insight into the minds of interesting folks, to spot trends, to promote things that interest or amuse me, to champion causes, to entertain (I hope), and to engage in conversations with the broadest variety of people. I think it’s changed publishing by allowing authors, booksellers, publishers, agents, and readers to have spontaneous, ongoing conversations with each other, across all kinds of boundaries. Anyone can chime in anytime. It also allows you to overhear conversations you wouldn’t normally be able to hear — about what people like and what they don’t. 5. If you had a crystal ball, where do you think (or hope) publishing, specifically magazine publishing, will be in 5 years? I think there will be an increased emphasis on beautiful production values in books and magazine, and that printed media will often be, the words of Seth Godin, a souvenir of a digital experience. When you go to the circus, the printed brochure doesn’t replace the experience of watching the circus — it reminds you of it. When Dickens’ readers bought leather-bound sets of his books, they’d often already read all the books in newspaper serial. Books and magazines will have many different kinds of lives, including as keepsakes and mementos. As such, people will value them for their production quality — and will want thick paper, handsome bindings, and gorgeous covers. To this end, I think every ebook should prompt you with the opportunity to buy a physical copy once you’ve finished consuming it on your device. What do you think about the partnership of books and the quality of their production? What ways have worked in reaching out to readers – specifically going to them vs. them coming to you? How has Twitter influenced your writing life and personal successes? A name will be drawn in two weeks. Excellent interview, Dawn and Will. I love the last answer; while digital may dominate the future I think there will always be a stronghold for beautiful books. Not many guests are going to be impressed with a leather-bound copy of a Kindle on the coffee table. I can’t wait to look closer at Cookstr.com, I’m hungry already! I couldn’t agree more strongly with the last point – digital is fantastic for consuming but I hope that there will always be a market for beautifully-produced physical books. I hadn’t heard that Godin quote before but it sums up my feelings perfectly: these days I buy fewer paper books but those I do are the ones I want to re-read, share with friends and family, and keep forever, and I’m much more likely to invest in a good hardback copy as a result. As a writer, I can relate to question number four – ref, Twitter. With my current work in progress I find myself asking many questions to things I have no clue. Twitter always seems to help me find someone that knows. Need a colloquial French term – ask in French. What is it like being in Penn Station during rush hour? Someone on Twitter will be happy to tell you. What’s the weather like in New Zealand on New Years Eve? I have followers that would love to share. Twitter has allowed a form of communication that would have been unimaginable 30 years ago.